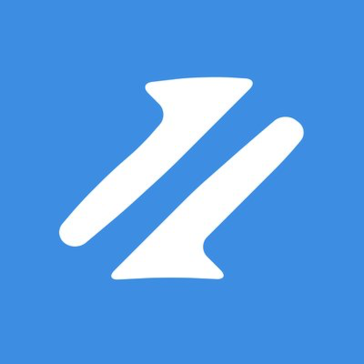 Buffer Reply is a social media customer service and monitoring tool brought to you by Buffer. "Solid, straightforward platform for managing engagement"
Buffer Reply does an amazing job of aggregating all of your private messages, mentions, and comments into one place. It was nearly impossible to miss a conversation with Buffer Reply, because each one is has its own thread devoted to it, which you have to check as "Closed" once you've addressed it. Assigning messages to other team members was incredibly helpful for those times when I wasn't sure of how to respond to a particular message, allowing me to easily punt it over to someone with more expertise in the given subject. They had some really intuitive keyboard shortcuts, saved replies features, and wonderful emoji integration. The biggest drawback of Buffer Reply is simply the fact that it is not integrated with Buffer itself. If this service had been included in Buffer, it would've eliminated the need for someone like me to jump between platforms to address all of my social media management needs. Additionally, at times it was a bit overwhelming to have ALL of my messages in one place. It would have been nice to be able to separate the messages by platform (e.g. Facebook vs. Twitter) or by conversation (instead of separating each individual response, I wish I could've seen all of the comment replies to a particular comment in one thread). This works really well for brands that are managing several audiences from different channels. If you are a smaller company with only one or two sources of engagement, this might be too robust for your needs. We were really looking for something that allowed us to respond more efficiently and more effectively to our audiences. We found that we were missing things in using engagement systems on native platforms, which is why we explored Buffer Reply as a solution. Using this platform has given me perspective on just how many different sources of engagement there really are and how beneficial it is to our brand to find and respond to all of these messages. "Good for small teams, not perfect if you are enterprise"
- Roadmap for this tool is a mystery - during last 5 months they optimized... reports loading. ONLY. Buffer Reply solved a lot of problems in first steps of customer care in social media. It worked well with small team. However, it's not scalable and friendly for enterprises and bigger teams. Report tool is real challenge if your are looking for tool with good feedback and summary. Buffer Reply allows for easy response to all social media in on easy platform. It is easy to assign cases to individuals and divide up responses between marketing and support. I do not like that it is difficult to search through old conversations. It is also difficult to identify customers as the same customer when they are reaching out via multiple different social media platforms (ie. Instagram, Facebook, Twitter). We are responding to customer inquiries and interest via social media. We have realized the benefit is that it allows us to respond quicker and divide cases between our PR company and hired staff. We use Facebook to maintain a users group, launch ad campaigns and respond to feedback. I previously used Desk.com for Twitter support but found it cumbersome and slow. When I switched to Respondly, I was able to manage higher volumes of conversations in less time - and hair pulling - because Respondly intelligently surfaces all the relevant contextual information I needed to deliver the ideal response. I'd like to be able to sort through "noisy" tweets more efficiently. Oftentimes when our Windows Phone app is updated, a flood of tweets inundate my Respondly feed and having more than a couple hundred tweets can really slow down Respondly until I close my browser. I'd recommend giving Respondly a trial run and seeing how it could fit into your workflow. We receive a lot of feedback and technical support related questions about our product on Twitter. It's important for us to know what our users are saying about recent updates to better prioritize releases in our roadmap and to identify bugs that could hurt our user's experience. "Nice little app to provide social support via twitter and email with easy, minimal interface." Respondly is a great tool to act as a bucket for all social accounts and mentions. You can setup keywords to monitor and they will feed in to this single interface where you can assign them, respond to them, follow up, or archive them. you can also add notes to each tweet to grab more context. In that same window you will also see incoming emails if you've set it up to act as a support mailbox as well. It may be too simple for some use cases and companies. The app has minimal features and clutter to make it easy to focus just on replying to tweets and emails. It also has no reporting capabilities to see how your team is performing. You are also not able to compose new tweets from inside the app. Being able to see what is being said about us in the social sphere by filtering the keywords related to our product and brand, thus being able to provide superior service and reaching out to people who don't directly @ us and providing assistance when they would otherwise go unnoticed. "Social Media experience -- renovated "
The ability to market my company to numerous platforms, and have equal results all around. It's been done before. There are many programs like this that are a tad easier to use. We are able to spread the level we are able to reach potential customers to a bigger area, not just locally. "Great way to manage all of your conversations on Twitter"
I like its simplicity. You can signup in a minute and you will start to see all conversations and mentions you receive on Twitter. Also, I like that you can monitor mentions for competitors and specific hashtags. I would like to have be able to monitor my Facebook pages/profile and see basics stats: 1) number of mentions; 2) responses ... etc. If your company receives customer support inquiries via Twitter, Respondly will save tons of time for your team. You can see who asks questions, you can respond, and archive after you done. You can treat it a Customer Support tickets for Twitter. "Simple and easy to use twitter management"
The ease of managing customer conversations with a team distributed across the globe. Its easy to see whats happening and whats been done and pick up where someone else left off. At the moment the cost is quite high for us but we're hoping it will pay off. The ability for multiple people to manage our twitter, across time zones while giving complete visibility of what was done and still needed doing. - Respond does that. "Simple, easy and fast for beginners!" It is a great way to control and deal with all our interactions on Twitter, as well as see the scope of them in a very simple way. It is a bit expensive, in addition to that I would like to monitor other social networks through the same app. We are usually very busy, so the app reduces the time spent managing all our social networks, Respondly is the best way to connect with our users. "We use Respondly to interact with our users over Twitter"
With Respondly, a whole team of us can access and respond to tweets @stripe. You're able to set your search terms, for tweets you'd like to see, assign tweets to particular people on the team, and respond either as yourself or the company. The bulk archive feature has been key! I'm also happy about the new analytics, and the ability to work with DMs! It has been great working with the Respondly team on any feedback I've had. We're looking forward to some features, like the ability to review tweets, and more refined analytics. We wouldn't otherwise be able to watch Twitter as a company, connect with our users, and manage our brand. "Light use of Respond "
It allows real time interaction which improves satisfaction on all sides. * We monitor all Buffer Reply reviews to prevent fraudulent reviews and keep review quality high. We do not post reviews by company employees or direct competitors. Validated reviews require the user to submit a screenshot of the product containing their user ID, in order to verify a user is an actual user of the product. Hi there! Are you looking to implement a solution like Buffer Reply?